Found her on the 1860 Gallatin, Columbia, New YOrk census (img 15) as Mariah Batherick age 41. Found her on the 1880 Gallatin, Columbia, New York census (dist 10 img 20) as Maria Bathrick age 61, keeping house. Found her on the 1860 Jerusalem, Yates, New York census (img 71) as Maryann Finger age 37. Found her on the 1870 Jerusalem, Yates, New York census (img 7) as Mary A. Finger age 48. Also in her household is her brother George W. Barnes age 44. Found her on the 1892 Jerusalem, Yates, New York state census (dist 3 img 4 FS) as Mary Ann Finger age 74. She is living in the household of her son Charles Finger and his wife Annie. Found him on the 1930 Lincolnton, Lincoln, North Carolina census (dist 15 img 25) as Austin A. Chatman age 27, farmer. Father, mother born North Carolina. Found him on the 1910 Macon, Bibb, Georgia census (dist 46 img 28) age 8. Found him on the 1920 Macon, Bibb, Georgia census (dist 48 img 13) As George Craven age 18. Found him on the ship's passenger list S.S. Santa Rosa for a cruise departing and arriving New York City, 1938. He is listed as 36 years old and single. Found her on the 1900 Union, Etowah, Alabama census (dist 163 img 4) as Clumenta M. Robinson age 19. Has given birth to 2 children, 1 is living. Found her on the 1910 Campbells, Blount, Alabama census (dist 19 img 9) as Clementin Robertson age 29. Found her on the 1920 Moores, Blount, Alabama census (dist 3 img 4) as Camitte Robinson age 39. Found her on the 1930 Moores, Blount, Alabama census (dist 3 img 4) as Claminty E. Robinson age 49. 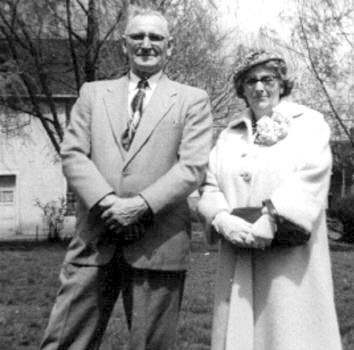 Mr. and Mrs. Chester Fetterolf, 101 North street, today announced the engagement of their daughter, Miss Betty Fetterolf, to Jack Finzar, son of Mr. and Mrs. Earl Finzar of 268 Pulteney street. Miss Fetterolf is a graduate of Geneva High School and Auburn City Hospital School of Nursing. She is now employed in the operating room of Geneva General Hospital. Found her on the 1900 St. James, Phelps, Missouri census (dist 101 img 1) as Elsie Finger age 3. Found her on the 1910 Dawson, Phelps, Missouri census (dist 62 img 8) as Elsie Fingers age 12. One source lists her as Josie Finger and says that she is adopted. Found her on the 1880 Redwood City, San Mateo, California census (dist 238 img 30) age 15. Found her on the 1900 Bronx, New York, New York census (dist 1033 img 62) as Leah Finger age 12. Found her on the 1910 Bronx Assembly District 35, New York, New York, census (dist 1608 img 20) as Leah Finger age 20. Found her on the 1900 Ancram, Columbia, New York census (dist 1 img 18) as Mable Finger age 11. Found her on the 1910 Hartford Ward 4, Hartford, Connecticut census (dist 170 img 7) as Mabel Teed age 21. Has given birth to 1 child, 1 is living. Found her on the 1930 East Fishkill, Dutchess, New York census (dist 22 img 6) as Mable M. Teed age 41. Found her on the 1940 East Fishkill, Dutchess, New York census (dist 14-24 img 9) as Mabel Teed age 51. PENN YAN - Willis A. Fingar, 89 of 527 Liberty St., died Saturday at Thompson Hospital in Canandaigua. Calling hours will be from 7 to 9 p.m. today at the Kennedy and Son Funeral Home, 13 Bristol St., Canandaigua. The funeral will be at 2 p.m. Tuesday at the funeral home with burial in Woodlawn Cemetery at the convenience of the family. Memorial contributions may be made to the Penn Yan Ambulance Corps, Penn Yan 14527. Mr. Fingar was a life member of Geneva BPOE. He was superintendent of construction for Harrison Engineering Co. in Des Moines, Iowa and had been foreman for the Yates County Highway Department for 25 years prior to his retirement in 1957. His wife, the late Pauline Maeske Fingar died in August. He is survived by one son, Walter J. of Penn Yan; a daughter, Mrs. Aftred H. (Bernice) Dewey Jr. of Canandaigua; several grandchildren and great-grandchildren; a brother, Arthur of Milwaukee, Wis., and several nieces and nephews. He is referred to as William A. of Jerusalem in his mother's obituary (1914) and Willis of Potter in his father's obituary (1938). Found him on the 1892 Benton, Yates, New York state census (E.D. 01) as Willis A. Finger age 1. Found him on the 1900 Jerusalem, Yates, New York census (distrct 136, img 5) as Willis A. Finger, age 8. Found him on the Yates County NY 1917 Militia Enrollment Index. Found him on the 1920 Potter, Yates, New York census (dist 184 img 6) as Willis Finger age 27, baler of hay. His brother Westley age 21 is living with his family. Found him on the 1925 Potter, Yates, New York state census (AD01 ED02 img 4) as Willis A. Fingar age 32. Supt State Road. Found him on the 1930 Potter, Yates, New York census (district 16, img 17) as Willis Finger age 38, Supt of state road, building road. Found him on the 1900 Greenville, Floyd, Indiana census (dist 56 img 2) as Frank Goss age 38, saloon keeper. Father, mother born Indiana. Found him on the 1910 Greenville, Floyd, Indiana census (dist 63 img 3) as Frank Goss age 49, keeper, boarding house. His wife is a widow on the 1920 census. Found her on the 1900 Ashmore, Coles, Illinois census (dist 19 img 7) as Ella Austin age 40. PENN YAN - William F. Hopkins, 72, of RD 3, died Saturday in Ocala, Fla. Calling hours will be today from 2 to 4 and 7 to 9 p.m. at the Weldon Funeral Home. The funeral will be at the Weldon Funeral Home tomorrow at 2 p.m. by the Rev. Clayton Comstock. Burial will be in Branchport Cemetery. Memorial donations may be made to Friend United Methodist Church. Mr. Hopkins retired in 1965 as a foreman at the Penn Yan Boat Company. He was a member of Penn Yan Lodge B.P.O.E. and the Branchport Fire Department. FINGER - in this city, November 2, 1929, Wanda Krueser, wife of the late Christian Finger, and mother of Mrs. Fred Kruser, Mrs. J. C. Kreuter and the late Gertrude Finger; grandmother of Shirley A Kreuter and Burnette W. Kruser. Funeral from the undertaking parlors of Georce A Schimmel, Genesee and Fougeron streets, Monday afternoon at 2:30 o'clock. Friends invited to attend. Found her on the 1880 Buffalo, Erie, New York census (dist 136 img 31) as Wanda Finger age 26. Found her on the 1892 Buffalo Ward 9, Erie, New York state census (E.D. 02 img 5) as Wanda Finger age 39. Found her on the 1905 Buffalo Ward 9, Erie, New York state census (E.D. 02 img 29) as Wanda Finger age 51, head of household. No husband is listed. Found her on the 1910 Buffalo Ward 7, Erie, New York census (dist 63 img 11) as Wanda Finger age 56, widow. Her daughter Alma and her husband Jacob Kreuter are living in her household. Found her on the 1925 Buffalo, Erie, New York state census (A.D. 05 E.D. 04 img 2) as Wanda Finger age 69, living with her daughter and son-in-law Fred and Ida Kruser. Found him on the 1880 Gallatin, Columbia, New York census (dist 10 img 17) as Albert Magla age 5. Found him on the 1900 Gallatin, Columbia, New York census (dist 12 img 2) as Albert Magley age 25, single, living at home. Found her on the 1920 Utica Ward 11, Oneida, New York census (dist 166 img 2) as Mary Brown age 40. Found him on the 1930 Milford, New Haven, Connecticut census (dist 173 img 35) age 33, laborer, odd jobs. He was employed by the Toledo Edison Co., Acme Station, Front & Elgin Streets Toledo, Lucas, Ohio in 1942. - WWII draft registration card. Found him on the 1920 Toledo Ward 1, Lucas, Ohio census (dist 16 img 10) as Ora Mikesell age 25, driver, express co.
Found him on the 1930 Toledo, Lucas, Ohio census (dist 147 img 19) as Ora N. Mikesell age 36, stationary engineer, power plant. Father born Ohio, mother born Indiana. Herbert W. Mower of Newark, N. J . died at the home of his sister Mrs. Almeron Finger, of Katsbaan on Wednesday. Deceased was also a brother of Elmer Mower, of Cedar Grove. Death was due to pneumonia. - The Kingston Daily Freeman August 6, 1915 page 10. Birth date agrees with entry in Clarence Finger's bible. Found him on the 1860 Saugerties, Ulster, New York census (img15) age 1. Found him on the 1870 Saugerties, Ulster, New York census (img 190) as Herbert Mower age 11, attending school. Found him on the 1880 Saugerties, Ulster, New York census (dist 153 img 52) age 21, single, living at home. Carpenter. Found him on the 1850 (not stated), McDowell, North Carolina census (img 105) age 5. Found her on the 1930 Mount Vernon, Westchester, New York census (dist 211 img 11) as Jean Reehl age 7 months. Found him on the 1910 Ironton, Lincoln, North Carolina census (dist 69 img 3) as Herbert E. Rudisill age 8. Found him on the 1920 Ironton, Lincoln, North Carolina census (dist 104 img 9) as Herbert E. Rudisill age 18. Found him on the 1930 Asheville, Buncombe, North Carolina census (dist 21 img 8) as Herbert E. Rudisill age 28, single. He and his brother Thomas are living with their sister Minnie and her husband Henry Keever. Found heron the 1940 Jerusalem, Yates, New York census (dist 62-14 img 11) as Revah Scott age 15. Found her on the 1920 Steubenville Ward 3, Jefferson, Ohio census (dist 222 img 15) as Mamie Finger age 25. Found her on the 1930 Steubenville, Jefferson, Ohio census (dist 31 img 23) as Mamie Fingers age 35. Family 1 : Amanda L.
Found him on the 1850 Sodus, Wayne, New York census (img 108) age 10 months. Found him on the 1860 Sodus, Wayne, New York census (img 44) age 10. Found him on the 1910 Sodus, Wayne, New York census (dist 37 img 14) as Louis F. Tinklepaugh age 60, farmer. Found him on the 1920 Sodus, Wayne, New York census (dist 37 img 14) age 70, farmer. He is living living in the household of his son-in-law and daughter Benjamin and Harriet Coleman. Found him on the 1930 Sodus, Wayne, New York census (dist 37 img 14) age 80, widower, living in the household of his son-in-law and daughter Benjamin and Harriet Coleman. Found her on the 1930 Gastonia, Gaston, North Carolina census (dist 18 img 10) as Mary K. Dellinger age 22. Found her on the 1940 Greenport, Columbia, New York census (dist 11-22 img 17) as Geraldine Caswell age 31. She and her husband Ernest are living in the household of her parents. Found him on the 1920 Beat 1, Tippah, Mississippi census (dist 102 img 27) as Daniel Wiggs age 7. Found him on the 1860 Westmoreland, Oneida, New York census (img 32) age 4. Found him on the 1870 Westmoreland, Oneida, New York census (img 34) as Merrett Wilgus age 14. Found him on the 1880 Wayzata, Hennepin, Minnesota census (dist 220 img 1) age 24, carpenter. He and his wife are boarders in the household of Harlan Gibbs.